With ticket sales to open on Wednesday, February 8, news has come in that Morten Lauridsen will be attending the screening of ‘Shining Night: A Portrait of Composer Morten Lauridsen’ by Director Michael Stillwater (an Official Selection of the DC Independent Film Festival). America’s most-often performed choral composer, Lauridsen is a National Medal of Arts recipient who spends summers on a remote island in the Pacific Northwest. 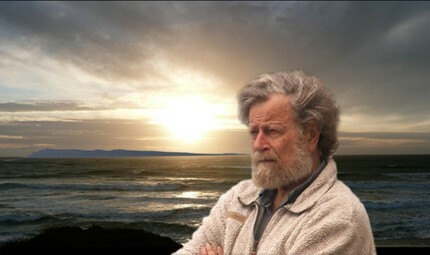 Filmed between 2010-2011 in California, Scotland, Germany and Waldron Island, Washington, the documentary conveys the richness and breadth of the award-winning composer’s life, with a soundtrack featuring his masterworks- Lux Aeterna, O Magnum Mysterium, Nocturnes (Sa Nuit D’Ete, Soneto de la Noche, and Sure On This Shining Night), Dirait-On and Madrigali. Commentaries as well from Dana Gioia (poet and chairman of National Endowment for the Arts, 2003-2009), Paul Salamunovich (director emeritus of the Los Angeles Master Chorale), Robert Geary (artistic director of Volti and the San Francisco Choral Society) and Paul Mealor (composer and conductor of Con Anima and the University of Aberdeen Choral Society and Orchestra), Alex Shapiro and others. This entry was posted in Live and tagged 2012, Award, cinema, DCIFF, eastern seaboard, film festival, http://www.dciff-indie.org, http://www.dciff.org, indie film, movie score, music, washington dc. Bookmark the permalink.